In his Discourse on Method, Descartes delineates his way of discerning truths. By deconstructing a subject into its most basic components and examining each closely, we should be able to attain full knowledge of the subject and thus come to a conclusion of sorts. Camus follows this method in his essay, The Myth of Sisyphus, and shares the insight he discovers by examining the “data of experience” (462). In this essay, Camus focuses on authenticity, suggesting that we are not really living until we discover and acknowledge the absurdity of our situation in relation to the world into which we have been thrown. He discusses the lack of clear purpose in the universe, using an observations-based approach to illustrate the impossibility of gaining full knowledge, and to prove that deeper thought on a subject always leads to the discovery of the absurd. Upon encountering the absurd, one may choose to acknowledge its existence and live a life in constant battle against the meaninglessness of life, or one can choose to escape confrontation by choosing to remain ignorant and by practicing bad faith. By examining two absurdist heroes, Camus’ Sisyphus and Hemingway’s Santiago, I will attempt to unravel the motives behind choosing to fight the losing battle against the absurd. I will also focus on Camus and Hemingway’s usage of water as the embodiment of the absurd, and discuss how this analogy helps us better visualize the effect that the absurd has on us. You describe it to me and you teach me to classify it. You enumerate its laws and in my thirst for knowledge I admit that they are true. You take apart its mechanism and my hope increases. At the final stage you teach me that this wondrous and multicolored universe can be reduced to the atom and that the atom itself can be reduced to the electron. All this is good and I wait for you to continue. But you tell me of an invisible planetary system in which electrons gravitate around a nucleus. You explain this world to me with an image. I realize then that you have been reduced to poetry: I shall never know (454). 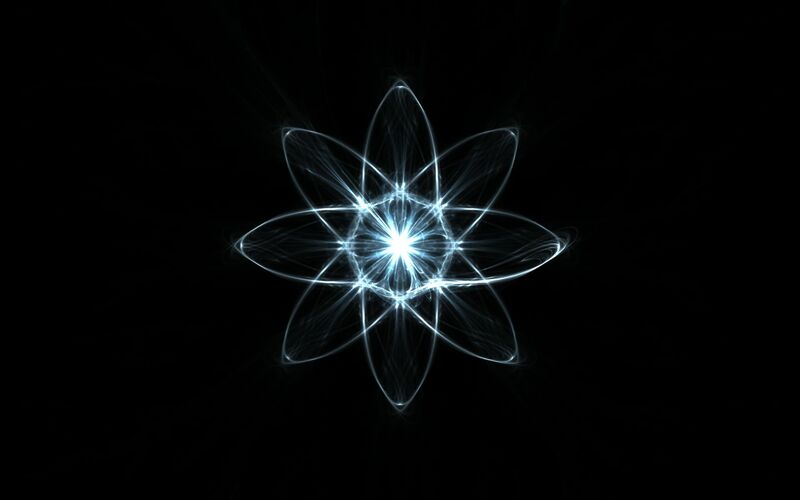 By using Descartes’ method of breaking the universe down to atoms, Camus finds that even science has its limits, and cannot explain the exact processes occurring within the atom without introducing hypotheses. Cold hard science, Camus suggests, must ultimately concede to poetry, art, and descriptions. We cannot attain all knowledge, and thus we live in a world full of paradoxes and irrationals. “This world in itself is not reasonable, that is all that can be said. But what is absurd is the confrontation of this irrational and the wild longing for clarity whose call echoes in the human heart” (455). The phrases “thirst for knowledge” and “hope increases” convey the need to grasp the world around us – to form unity and gain clarity from the phenomena in our lives. But our attempts always direct us to back to the absurd. Thus, Camus concludes that absurdity must be a truth of the human condition. He defines it as “a confrontation and an unceasing struggle” that we must live with so as to remain forever conscious of it (462). The absurd man suffers no illusions of escape and therefore he is resolved to fight. The mind’s struggle to find meaning in life is a futile and draining endeavor, and one cannot sustain such a life for very long before one must choose to either confront the absurd, or “escape by the leap” of faith in God. In this crucial moment of deciding what to do in face of absurdity, man is neither driven by hope nor certainty, but instead a desire to revolt in the “hell of the present.” In defiance of the irrational, man accepts the absurdity of his existence, but continues to live. While logic suggests suicide as escape from a painful existence, the very fact that our existence is painful gives meaning to our lives. To those aware of the absurd, there “is no finer sight than that of the intelligence at grips with a reality that transcends it” (480). Camus esteems this struggle, holding it to be the noblest aspect of being, and suggests that it is the unassailable passion of the heart to defy that helps man achieve greatness feeding on “the wine of the absurd and the bread of indifference”(480). Examples of these heroes who choose to face the infinite battle against the absurd are not heroic in a conventional sense. Their victories are not definite and do not amount to long-standing glory. For instance, Camus uses the condemned man, Sisyphus, as his ideal absurd hero. In his interpretation of the Myth of Sisyphus, Camus suggests that it is the realization of an absurd fate, and the resolve to return to the rock waiting in the valley that is Sisyphus’s crowning glory. Camus imagines Sisyphus to begin his descent in sorrow as he reflects on his prescribed “wretched condition” (491). But during his deep introspection, Sisyphus “silences all the idols” and realizes that his fate of performing “that series of unrelated actions” is not assigned by the gods, but is his own creation (492). By consequence, he chooses to brace his body in preparation to push the rock again, because “His fate belongs to him. His rock is his thing”. His claim to his rock is not a resignation to his punishment, but is instead a reclaiming of his purpose in life – the shouldering of a struggle “enough to fill a man’s heart” and keep himself happy (492). Like Camus, the novelist Ernst Hemingway suggests that the human struggle against futility gives life meaning. His novel, The Old Man and the Sea illustrates the unwavering human dignity that empowers Sisyphus to continuously roll his boulder up the hill, and drives the protagonist of his novel, Santiago to grip the fishing line with unparalleled resolve. Santiago is an impoverished elderly fisherman who is barely able to care for himself without the aid of a young boy. 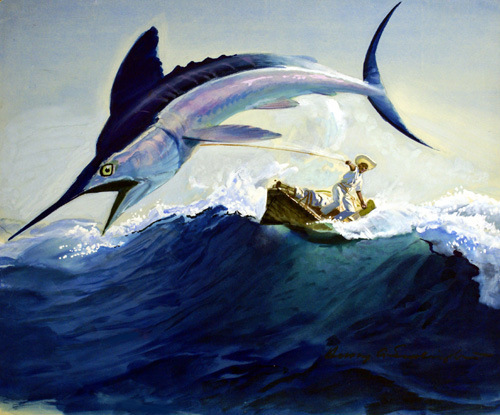 When he hooks a monstrous fish, he holds steadfast onto the fishing line and is dragged out on the ocean for two days. He resolves to catch this fish, imagining the amount of money it would sell for, and the many mouths the fish would feed, but a larger motivation keeps Santiago’s old and pulverized hands on the line – the need to prove “what a man can do and what a man endures”. He recognizes that “the thousand times that he had proved it meant nothing. Now he was proving it again. Each time was a new time and he never thought about the past when he was doing it” (18). Santiago repeatedly rises to the challenge of a test of strength even though victory can never amount to more than a momentary triumph. Thus, even though Hemingway’s works predate existentialism’s conception, Santiago is a paradigm absurd hero. He “recognizes the struggle, does not absolutely scorn reason, and admits the irrational,” yet continues to hold on to the fishing line (Camus 467). 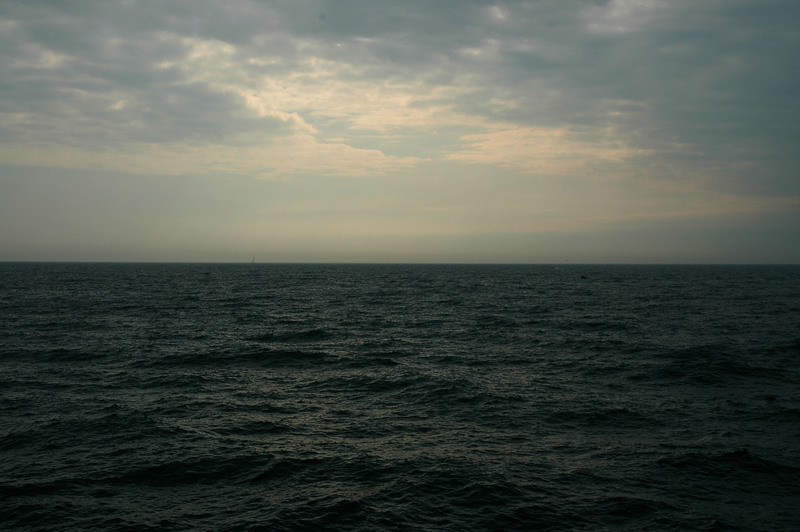 In his essay, Of Rocks and Marlin, Dwight Eddins uncovers existentialist values in The Old Man and the Sea. He argues that the continual negation of Santiago’s efforts is permeated by moments of “honor, courage, decency, generosity, and stoical fortitude” that render him an “island of human dignity in the middle of the cosmic mess” (70). His argument is true to Camus’ definition of an absurd hero – the maintenance of human dignity is a way to stay afloat in a sea of absurdity. In a world devoid of meaning, Santiago uses fishing as a means to face the absurd in his daily life and show his private revolt, his uniquely human defiance and, ultimately, his value in the world. The lack of clarity in water, yet our attraction to it is similar to our encounter with the absurd. It involves a loss of traction leading to up to the encounter with the absurd that is parallel to abandoning firm ground to plunge into water and it is the emergence from the water that signifies the emergence of the absurd man (Curzon 463). This can be illustrated with Santiago’s excursion in The Old Man and the Sea. As Santiago sails further and further away from land, his thoughts focus increasingly on the absurd. He begins to talk to himself and occasionally to the large fish. He identifies with the fish, admiring its strength and relentlessness, and he even calls it a brother. He begins to recognize a similarity between the fish and himself acknowledging that they are both noble and show grace in the face of futility. It is in this moment that he discovers the absurd – the struggles both face are will ultimately amount to failure, but Santiago recognizes this struggle is part of human existence. Once free from his ordeal far out in the sea, Santiago returns to the shore looking haggard and feeling defeated, but returns to his shack to presumably resume his routine the very next day. Santiago expresses another revelation that likens him to Camus’s absurd man. He finds, paradoxically, that “Fishing kills me exactly as it keeps me alive” (30). Santiago struggles to sustain himself long enough to catch the fish, forcing himself to eat raw dolphin meat, even though he is nauseated by the thought of it, and even though he has admitted to losing interest in food. Fishing forces him to continue to live, even though it takes a toll on his body. Eddins points out that skin cancer is a manifestation of the dual nature of challenges that Santiago must face. The cancerous spot appears “malevolent in their assault upon the well-being of the organism, but are in another sense ‘benevolent’ in what they force the organism to become through overcoming them” (71). The discolorations of skin, deeply cut hands, and ragged clothes are significant reminders of the many adversaries Santiago has faced in his long life, even if his past achievements do not amount to any lasting, “determinative victory in the ‘fishless desert’ of an absurd universe” (Eddins 71). His passion to fish keeps his heart alive, and is the very passion that Camus believes, “ burn[s] the heart they simultaneously exalt” (455). The absurd heroes face “a total absence of hope, a continual rejection, and a conscious dissatisfaction” (462). And yet, they continue their fruitless endeavors. A multitude of factors influence this decision, including the passion to live and defy the meaninglessness of the universe. Ultimately, the freedom found in Camus’ existential philosophies is the power to decide the meaning of our lives once we realize that the universe is indifferent to our existence. Belassie, James. “The Imagery Of Water In Camus’ La Chute.” Existential Analysis: Journal Of The Society For Existential Analysis 22.2 (2011): 318-324.Academic Search Premier. Web. 14 Dec. 2013. Camus, Albert . 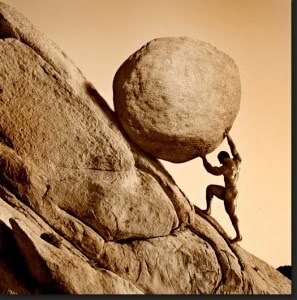 “The Myth of Sisyphus.” Basic Writings of Existentialism. (2004): n. page. Print. Camus, Albert. The Stranger. New York: Random House, 1946. Print. Curzon-Hobson, Aidan. Confronting the Absurd: An educational reading of Camus’ The stranger. Routledge, 2012. Web. Eddins, Dwight. “Of Rocks and Marlin: The Existentialist Agon in Camus’s The Myth of Sisyphus and Hemingwa’ys The Old Man and the Sea.” n. page. Print. Hemingway, Ernst. The Old Man and the Sea. Scribner, 1995. Print. Holcombe, Wayne C. “The Motive Of The Motif: Some Thoughts On Hemingway’s Existentialism.” Hemingway Review 3.1 (1983): 18-27. Academic Search Premier. Web. 14 Dec. 2013.